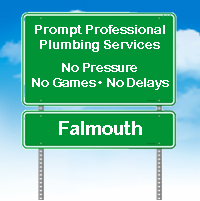 We've got Falmouth covered for sewer and drain services. We're Ready to Help With Your New Falmouth Sewer Tie-in. Call us at 508-317-5525 or contact us online. An owner committed to your satisfaction personally managing every job. Cape Cod Master Plumbers president Tim McElroy and his team are committed to breaking the Cape Cod service mold. That means an end to "The Cape Cod Promise." That means professional service with superior training. That means a signed strict Professional Code of Conduct and a signed No-Pressure Sales Pledge. 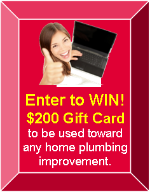 You'll know that the plumber we sent to your home is well-trained respectful well-mannered thoroughly background checked. You'll know that our entire team is fully committed (in writing) to providingding you with the best possible repair, maintenance or installation to meet your goals and to fit your budget.